Dr. Longard holds her Ph.D. from Vanderbilt University. 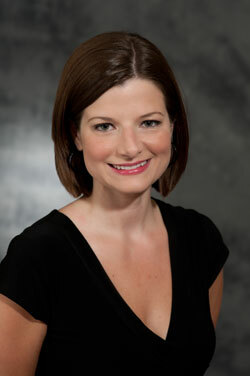 Her early research focused on familial gender socialization in the subculture of Southern child beauty pageants. Through extensive fieldwork and intensive interviewing of pageant families, she examined the self-esteem effects of pageant participation, as well as the parental motive and rationale for the inclusion of children within the highly contested practice of pageantry. Her latest work examines student-based social movements and grassroots organizing. Dr. Longard's teaching interests include gender, the body and self-esteem, Southern subculture, and inequality, among other courses. She is active in our General Education program offering both Freshman Year Seminar and Junior Cornerstone courses. In addition, Dr. Longard takes part in many service-learning courses offered within the Belmont and Nashville communities. Dr. Longard serves as the Chair of the Department of Sociology.